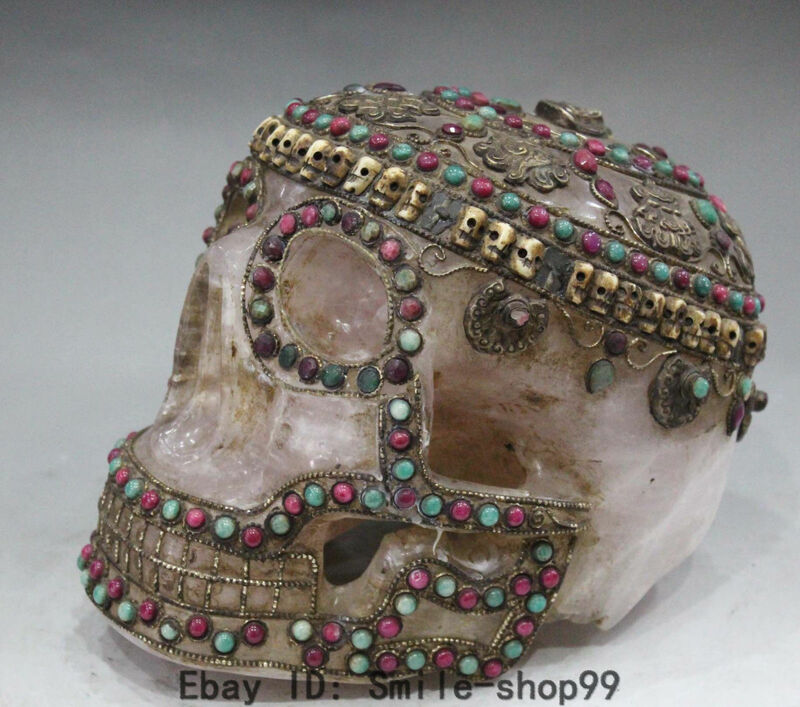 These skulls currently for sale on Ebay by the Chinese Communist Party, sacred and often quite ancient, date back some 6000 years. 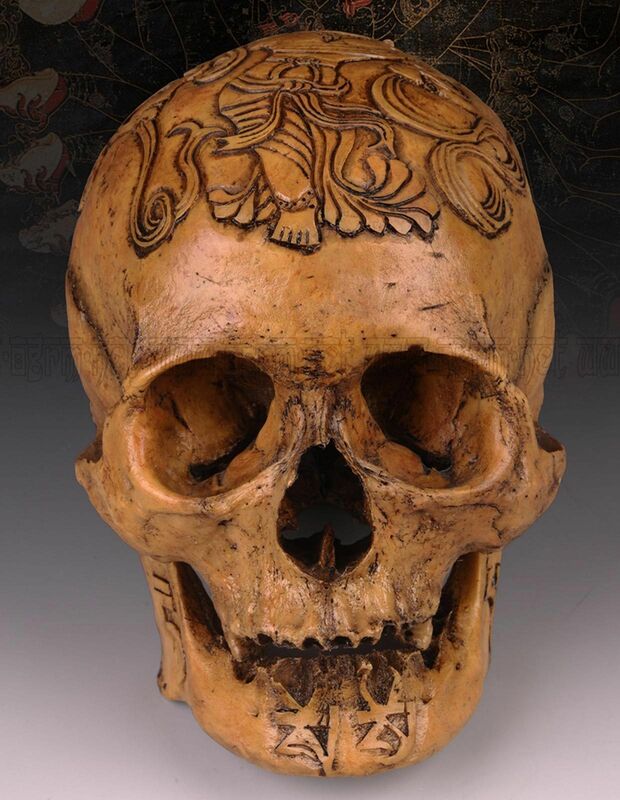 Not only are skulls revered by Tibetan Buddhists, but they were made for ritual purposes by the ancient Chinese such as the Hongshan Culture, and may have been a key part of ancestor worship to represent the dead. 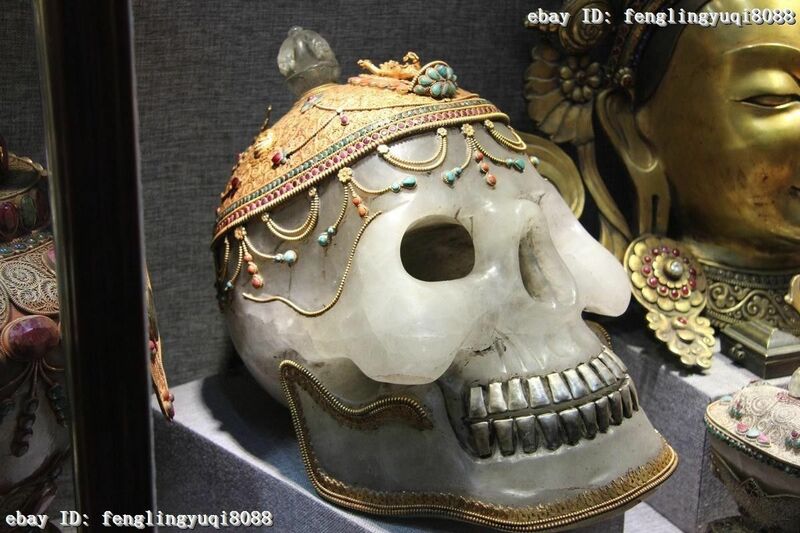 These skulls currently for sale were taken from the grave and people’s personal possessions, not only from Tibet but from all Chinese, and it is a robbery of this ancient branch of religion as well to sell what is so little known about. The Chinese Communists have no right to sell what isn’t theirs to begin with, and to take someone’s sacred items that represent their ancestors, is without conscience. 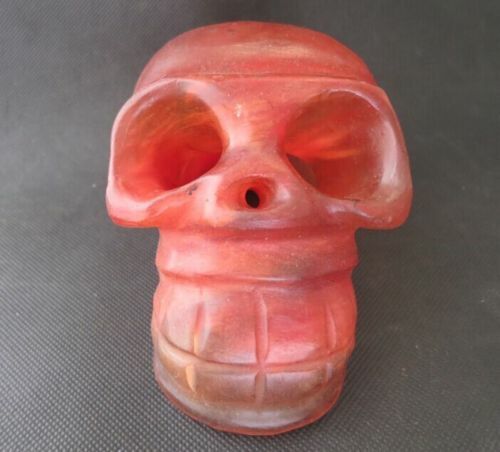 All these skulls are found on the global marketplace- mainly I’ve focused on Ebay but undoubtedly there are other outlets such as Amazon, Etsy, Alibaba, Sears Marketplace, aliexpress.com and others- where they are being wholesaled to every ignorant and unscrupulous dealer and individual in the world. As anything in life there is unequal distribution of resources- there’s always someone being greedy too- so I would think that the majority of them being sold will end up in the hands of few. The blood pools as do the skulls, so there is still a chance to recover these, like many other important archaeological and religious pieces that have also been sold on Ebay because of this phenomenon of inequality and greed. Made out wood according to the seller, though it is difficult to tell through the layer of dirt from the grave or cave. 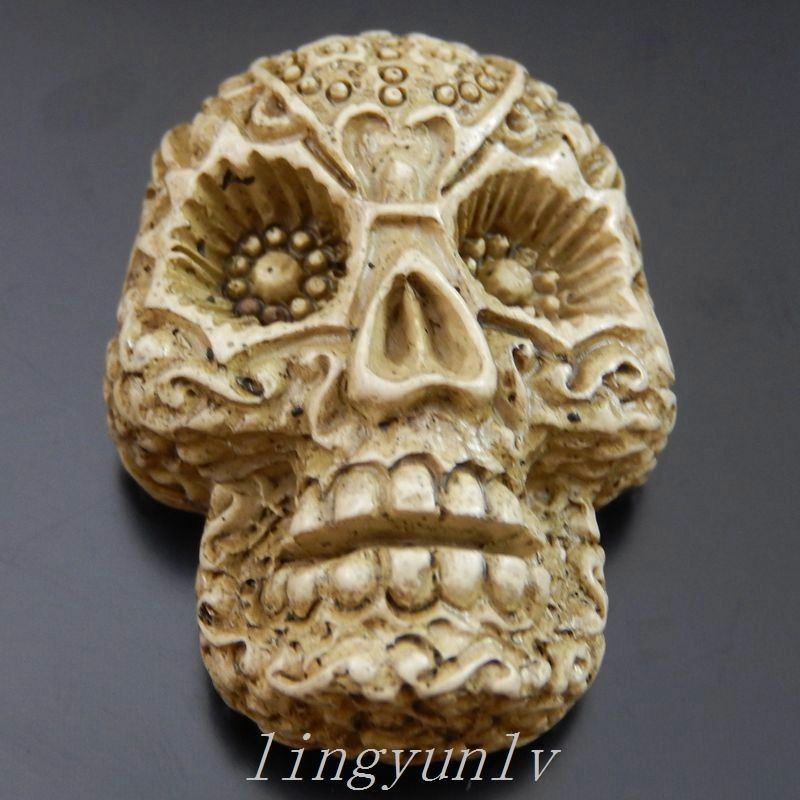 The metal skull beads above, though clearly worn with dirt encrusted in the lower lying areas and eyes, and losing some of the details of the features because of rubbing are still being sold as brand new. The same goes for the obviously well used and vintage if not antique charms below, which even have a spots of greenish rust indicating it may have been buried for a while, as well as being used. Worn from use and green with rust, but still repeatedly sold as brand new!! A widespread and pervasive problem with not just these Chinese sellers, but almost all of them have some issue when you look at their goods and stop taking for granted that it is new and all good. This style of skull pendant is very old and typically worn by monks and other religious practitioners in both Tibet and Nepal. Walking canes were often very personal items and buried with the deceased. Long ago the cane itself- of wood and bamboo- may have rotted and disintegrated leaving only the tops to be sold by the grave robbers. A whole new meaning to DEATH METAL! 24k Gold skull which may or may not be plated and/or gold, but probably is because of the high price tag the Chinese have put on them. Because of its melt-ability and malleability gold was made into jewelry and maybe even highly religious sculptures like this even before bronze was discovered. Gold also doesn’t rust and tarnish over time, making it an ideal material to use in graves. At 7.5 kilograms or 7500 grams- they weigh about 240 troy ounces. At the current price of $1,252 per troy ounce, each one of these skulls would be worth about $300,000 in its weight in gold alone. Because they are cultural and religious relics, as well as being quite old- but its difficult to tell since gold shows little age- they are being sold tremendously short here and to the Tibetans (and possibly Chinese) who made them, a great injustice that they should even be sold at all. On top of being stolen from Tibetans and resold, these are just crappy rings to begin with. They are pot metal that has been coated and recoated with copper and “silver” (which may not be silver at all) to make wearable, but even Ebay has a warning for these types of rings on the basis of their quality alone. Many of these rings may contain lead since it is a cheaply available metal that lowers the melting temperature, making it easier to work with and pour into molds. Most often these types of rings are sold as “stainless steel” and apparently Ebay just posts a warning on another page and allows the Chinese sellers to call them whatever they like. Besides selling rings as new outright that are used and show visible signs of wear, layering with another coat of metal helps to cover up signs of wear as well. 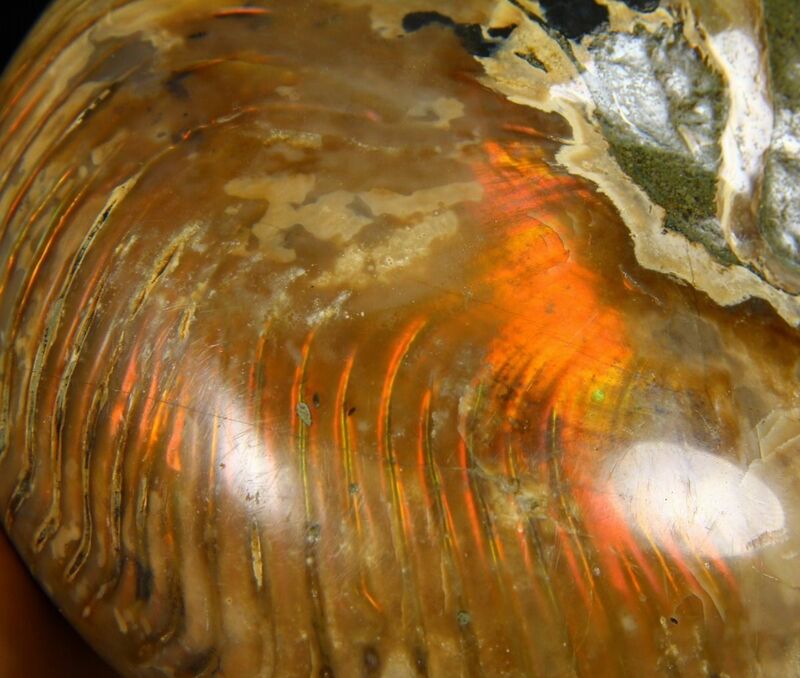 To say these are “amber” perhaps is an exaggeration, for the Chinese-Tibetans are masters at resins as well as mixing real amber with other additives. 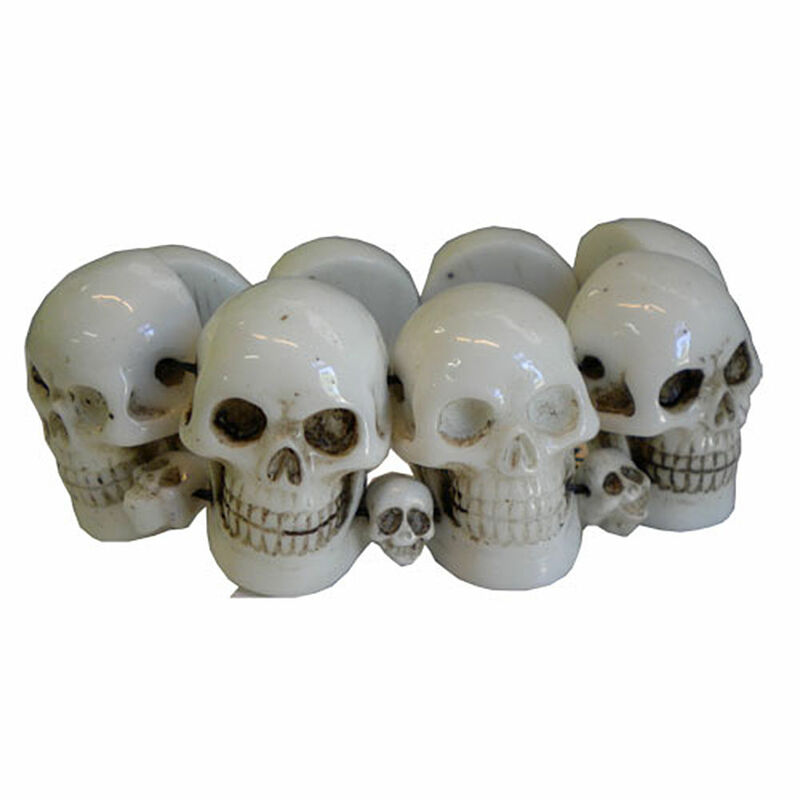 Though many of these skulls as sold as brand new, and so many sellers use the exact same photo would lead you to believe they are being currently mass produced, but if you look at the skulls, you can see many of the details of the face- like the teeth, have been partially polished away. Over time the surface of this material becomes cloudy like the eyes of the skull below. They’ve all been recently polished to sell, and this is why they’ve lost details. 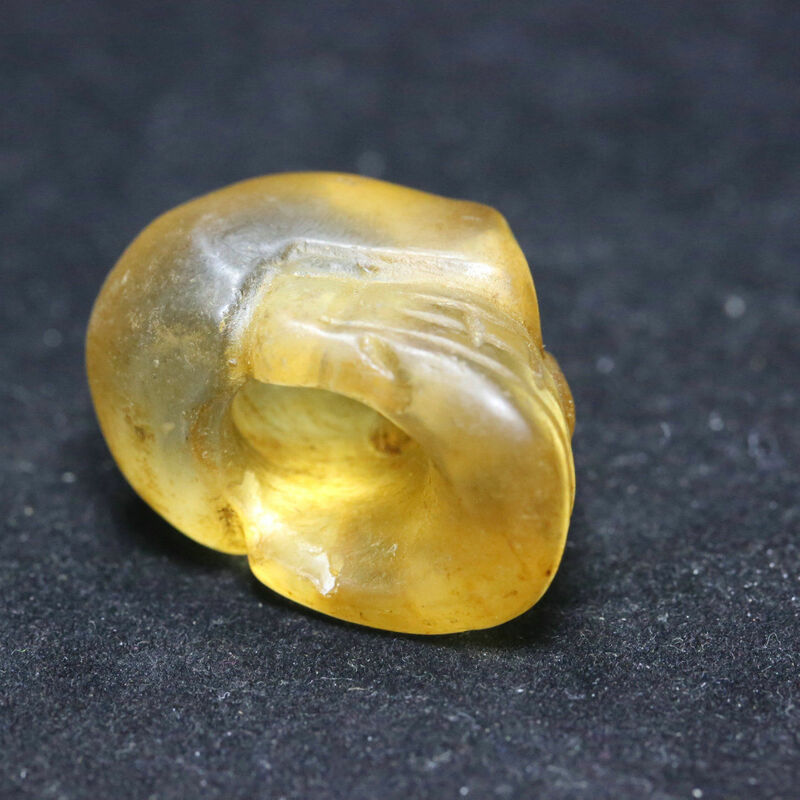 This effect is all the more clear in other vintage, antique and ancient amber pieces also being sold en masse with details that are polished clean away. It is unknown whether these skulls were placed in tombs or held in people’s personal possession when they were robbed from Tibet, since these do show age, but no thick layer of tomb dust- but they’ve also been obviously polished recently, so perhaps they cleaned the earth off unlike other antiques that are being sold with dirt still attached. 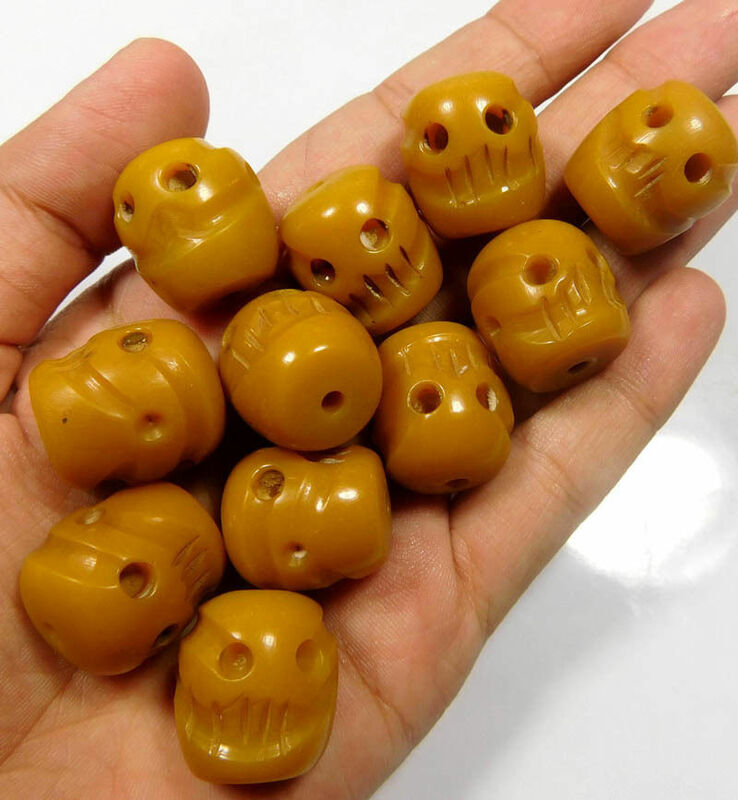 Skull beads made from light colored amber that may be real and unadulterated above. Skulls, skulls, skulls!!! These carved rock skulls and those made of amber and metal weren’t just trinkets but probably served some religious function. 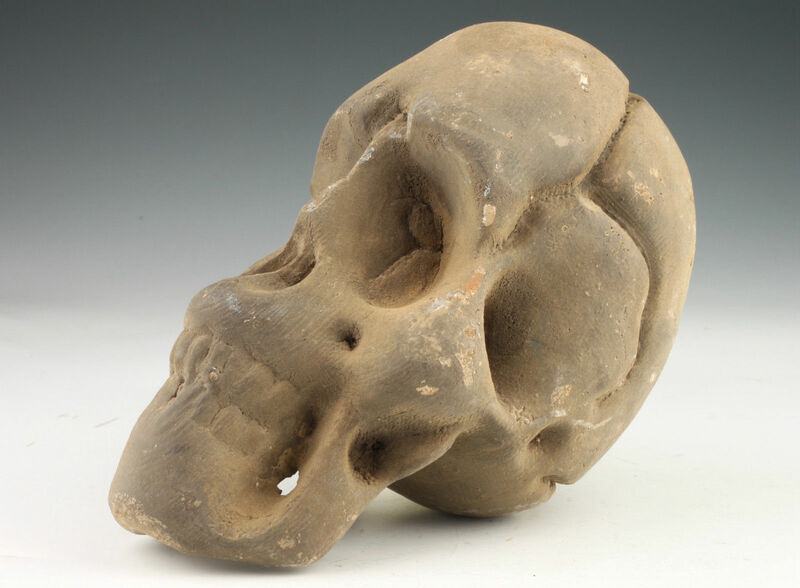 From the time of the Hongshan people more than 6,000 years ago they have been popular, and since all of the skulls for sale that I’ve seen are all used, one has to wonder- where did they all come from? They aren’t all necessarily from Tibet, nor have they been used in the manner 0f kapalas. The were confiscated by thousands and hundreds of thousands because everyone had one (or 20). May have served to represent ancestors? They were confiscated by thousands and hundreds of thousands because many graves were robbed and they may have been buried with the dead as a matter of course. They did bury carved skulls and other items back in the Hongshan days, so it very well may have carried into the present day. 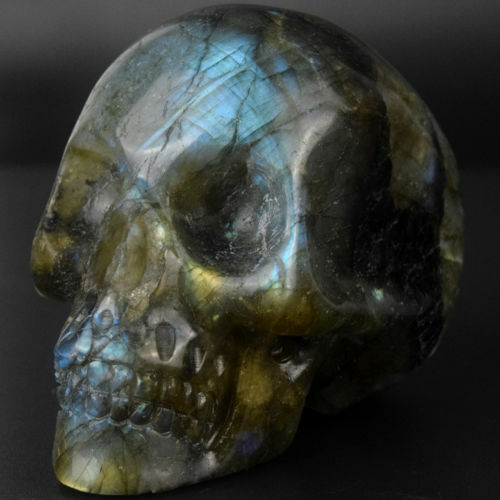 Many of the stones such as crystals are being sold as brand new- there are entire shops full of such stock- but if you look closer the skulls tell an entirely different story. 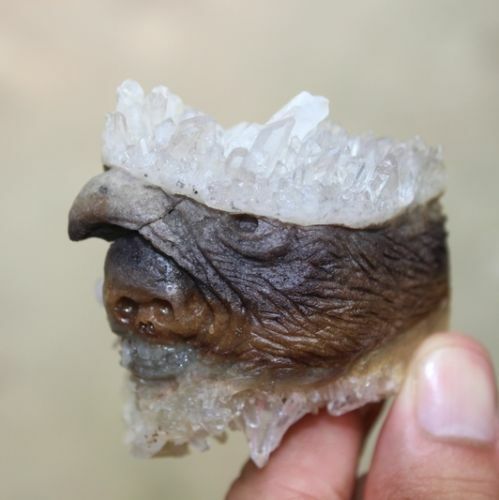 It is nearly impossible to say how old most crystals are because they are very impervious to age as well as decay, though the style of carving gives some clue. 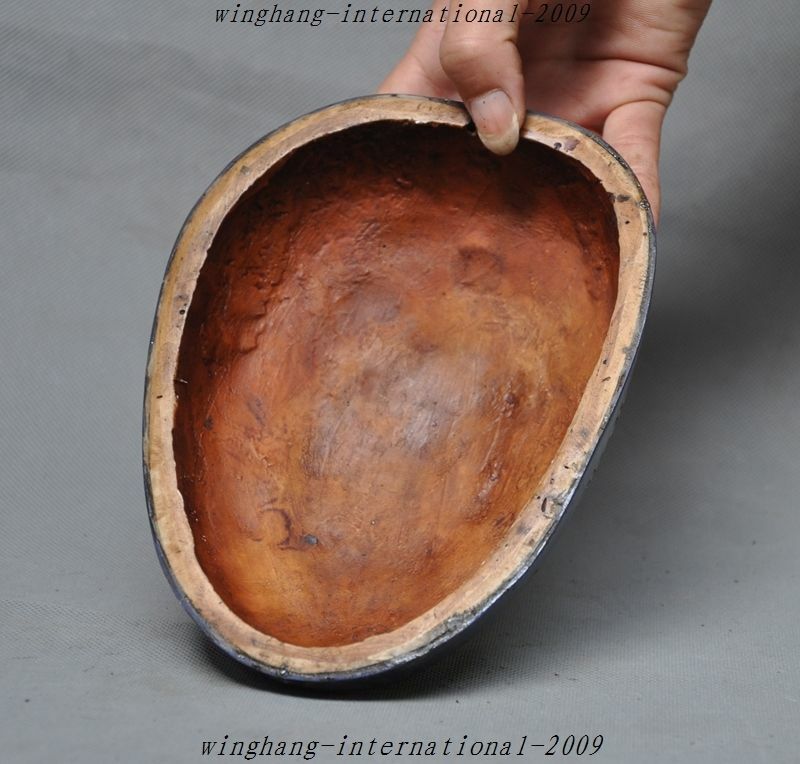 Below is a skull from the Hongshan Culture, which could be more than 4,000 years old. The yellow color comes from a oil they apparently put on crystal to turn it yellow, but they also invented a smelting process which colors the crystal different colors too. One of the key features that this is an older skull is that it is hollow on the inside- most of the relatively newer ones (they still could be hundreds if not thousands of years old) have a ledge for the jaw or crease, but are not hollowed out. 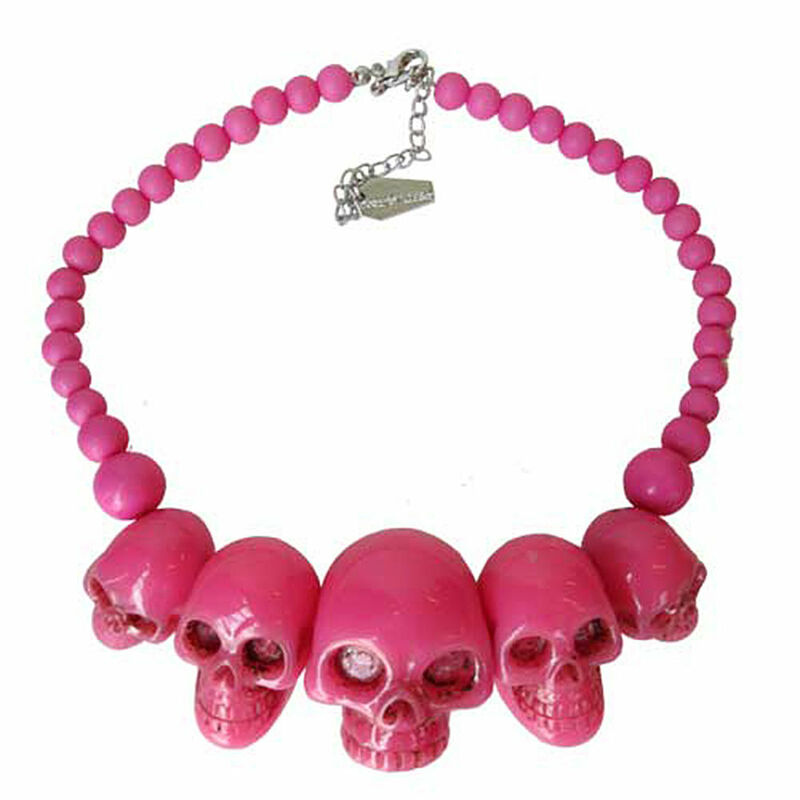 Below are larger Hongshan skulls that have been smelted- melted crystal- with a colorant added to make it pink. Because this was so much earlier than the first forms of glass, they must have been quite magical to own. The early Chinese used many other types of rock, but crystal was among the most revered apparently, a practice carried down through the ages by the Tibetans and even appreciated by Chairman Mao himself for its longevity and durability. One of the other key features of older skulls are the australopithecine-like (caveman) features. The mouths tend to protrude while the forehead is relatively non-existed except for the heavy brow. Perhaps they had real skulls of early human species to model their sculptures with that have long since disintegrated, been used for medicine and/or vanished? At just over 63 pounds, the amethyst skull above is one of the larger ones that I’ve seen. 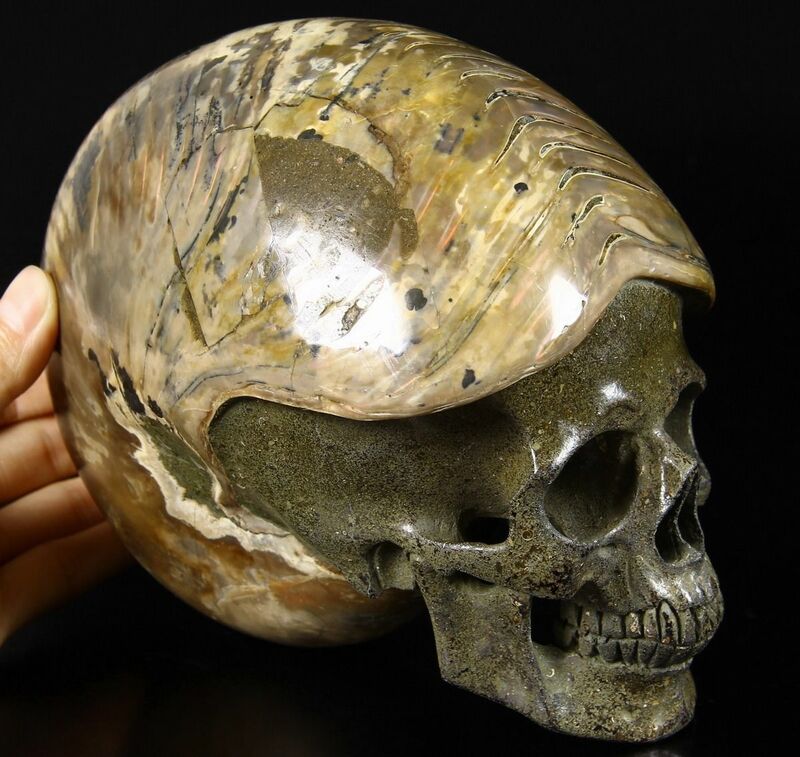 4 1/2 lb agate geode carved into a skull. Alien skulls are also popular in recent times, probably just since UFO’s and Sci-Fi captured the imaginations of the public in the 1950’s and 60’s. Older skulls have quite a bit of variation (mainly with different animals or mythologial beasts on their heads like snakes, bugs, birds) however purposefully enlarged alien eyes with small noses and mouths, or elongated heads as seen above with other realistic features seem to all be contemporary carvings. 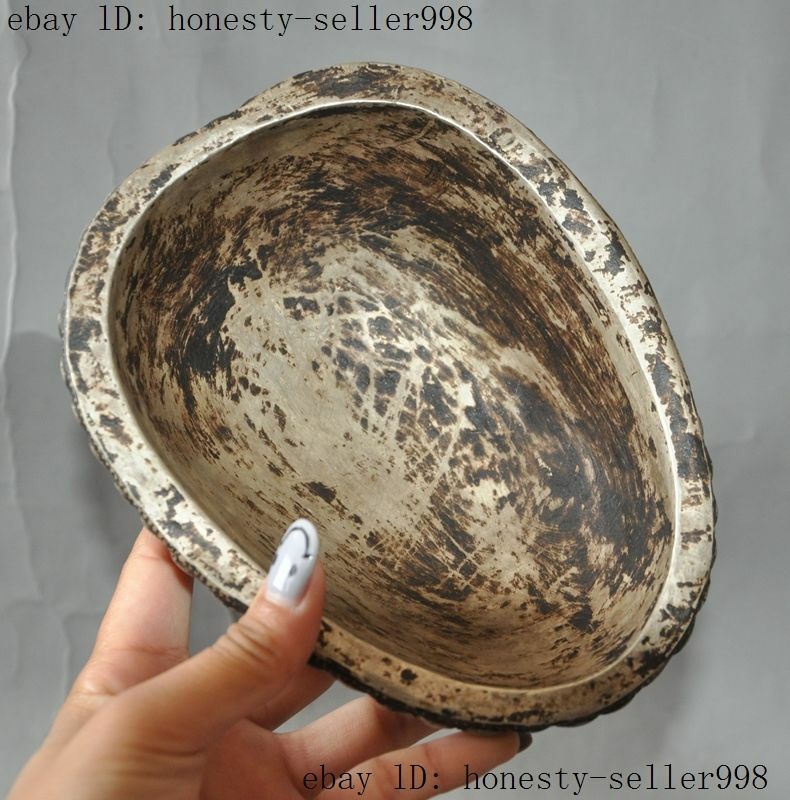 Though there are many, many poor people in China, the spiritual nature of these objects and sheer numbers for sale leads me to believe they were probably taken by force from someone, and are now being sold for less than what it costs to carve them. As time went on carvings became more and more Homo sapiens like and realistically detailed and as a general rule of thumb- the more realistic it is, the more recently it was carved. 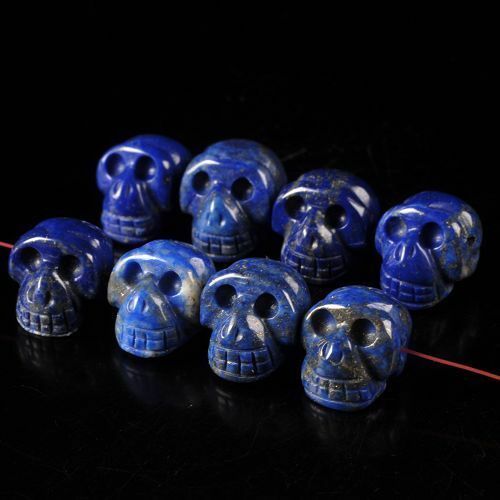 The lapis skulls below, though not brand new, are relatively modern and recently carved along with most of the other stock being sold by mr_skully – but taking from the living isn’t necessarily better than taking from the dead though, and it is questionable whether one single lapis skull was ever sold voluntarily, particularly when found at these prices and in these numbers. 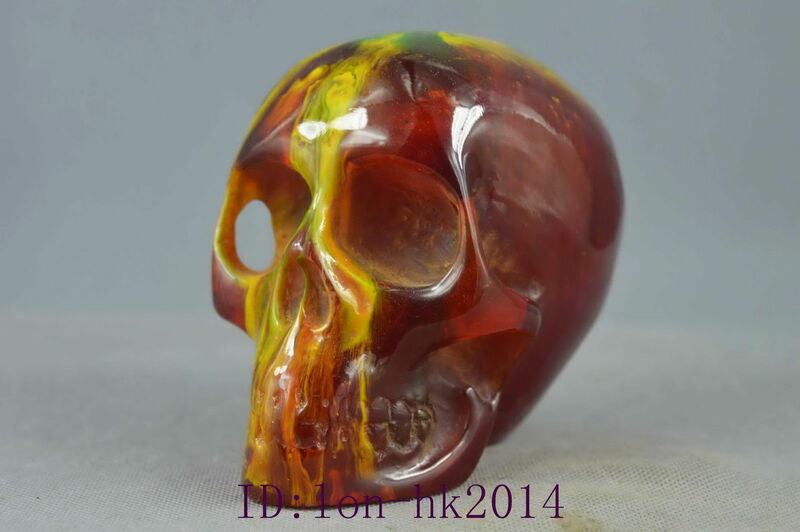 All the auctions listed above are for skulls 1.5-2.2 inches. Lapis lazuli is a blue colored semi-precious stone that Tibetans are fond of. Sodalite is another commonly carved and worked blue stone which is often mistakenly sold as Lapis. Though most of the known deposits are known in Afghanistan, that is not to say that there wasn’t also a deposit in Tibet by the sheer volume of “lapis” that is seen being sold by the Chinese of theirs, but then it appears they figured out a way to make synthetic lapis along with brighter turquoise and a red “turquoise” long ago- so I suspect much of what is being sold on Ebay currently, isn’t a natural stone much like the turquoise is not. Pyrite or fool’s gold is another item that is often carved. It is an extremely hard material to work with, and exemplifies the patience and skill carvers have. 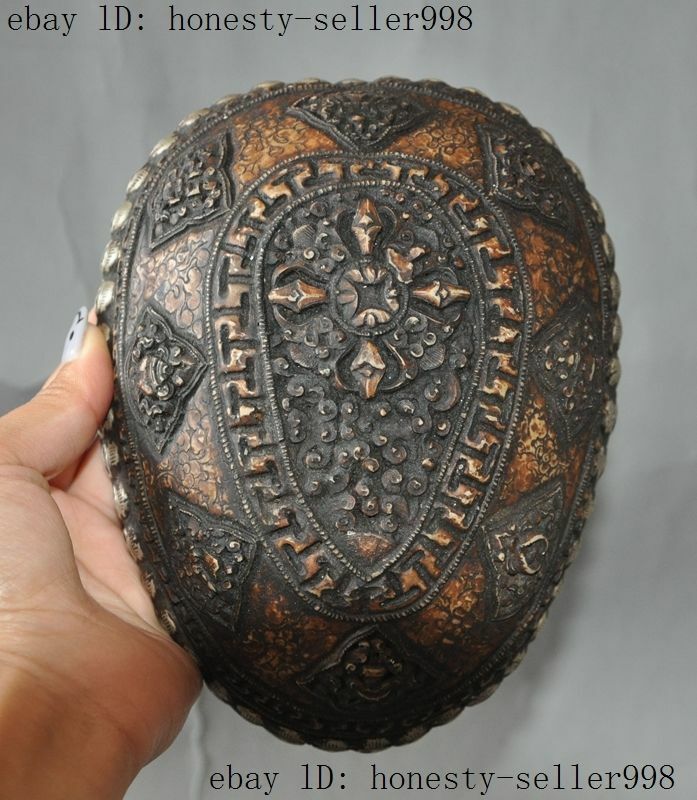 Its really difficult to tell with the carved pyrite pieces if they are used or not, the material is very durable, which also facilitates their resale. 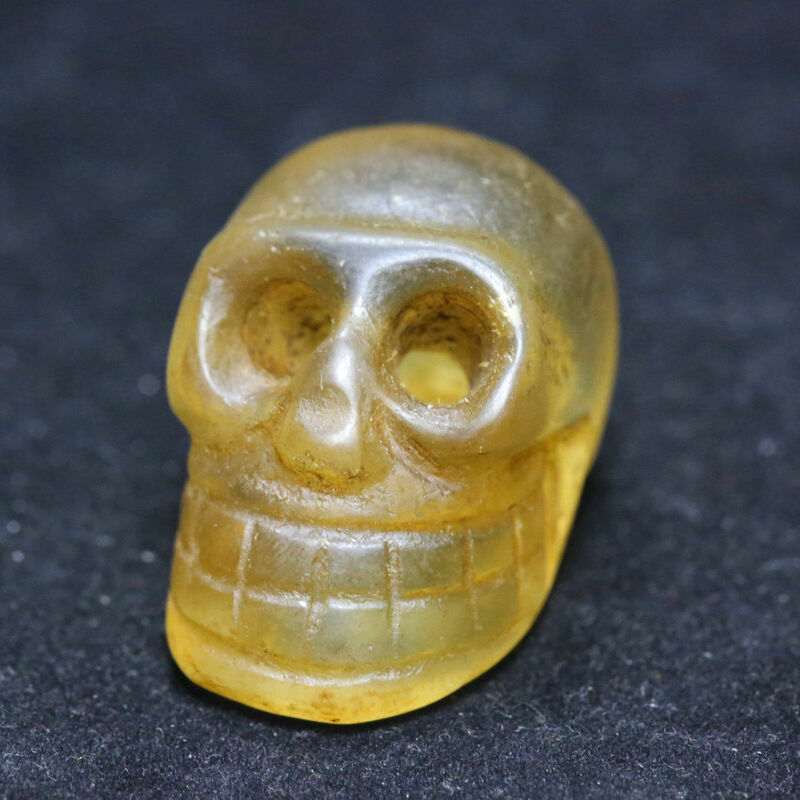 Besides skulls, the golden material is used to carve any number of things. Some typical carvings below. Obviously this has some wear and age, but once again these sacred items- often quite ancient- are being sold as brand new. Though some might see this skull with feathers as copying Native Americans, these are the people of the bird- an important animal to them even to this day- whose relationship with them goes way back further than just a couple hundred years. Not one group of people has a monopoly on having feathers in their hair, but its a shared trait throughout humans to use feathers as adornment, and even a sign of prestige or leadership. 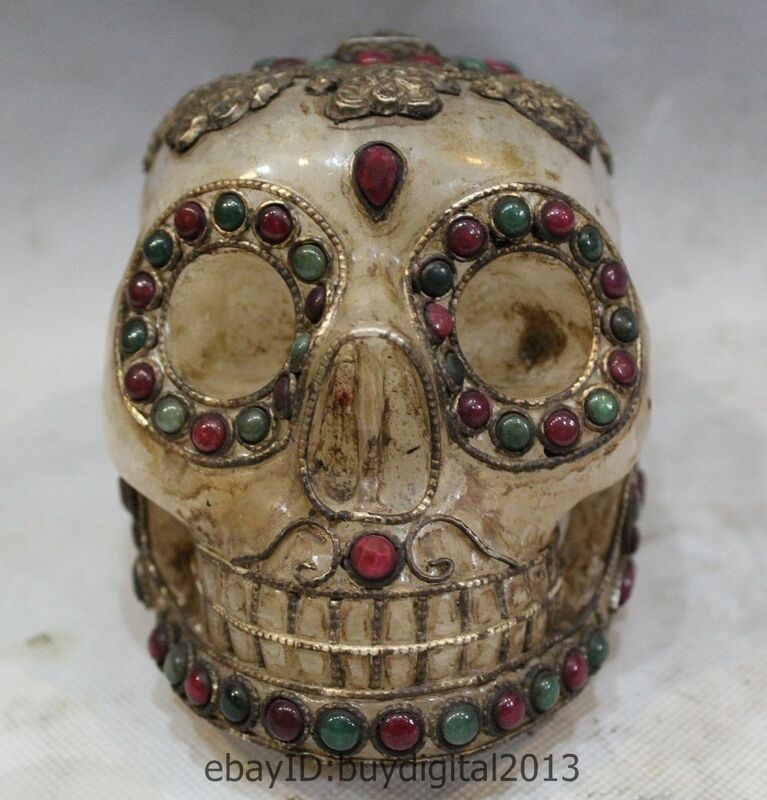 This resin model is of a Tibetan Kapala not “Egypt Human Skull Replica Resin Model Medical Realistic lifesize 1:1 Halloween” as the Chinese shop keeper wants you to believe. On the forehead there is a giant lotus, above that it an endless knot, both are Buddhist symbols as well as the wheel on the very top of the skull, not Egyptian. 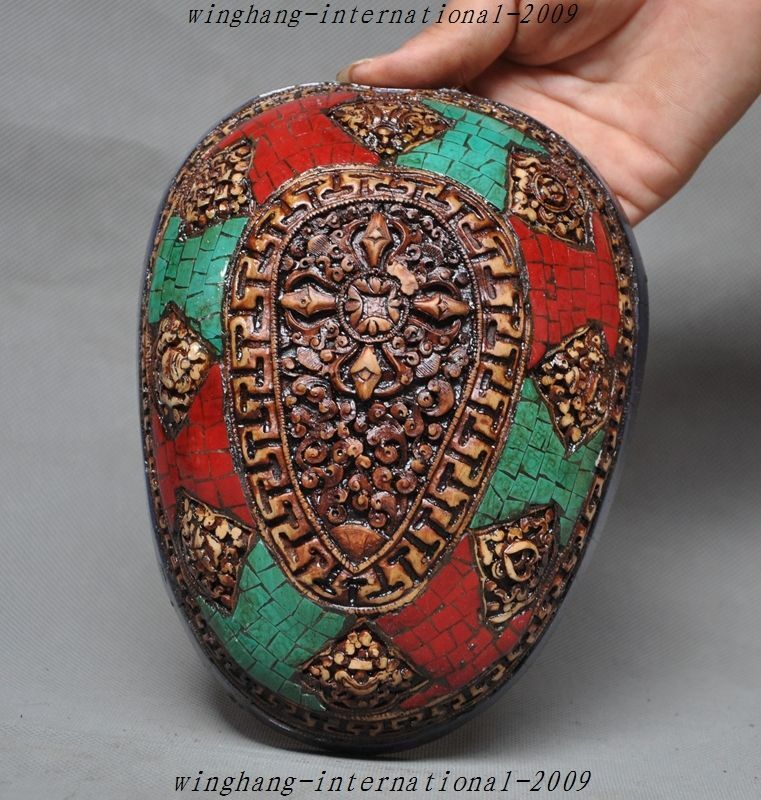 Back of the same resin skull which has not only a lot of old dirt on it, but Tibetan writing. 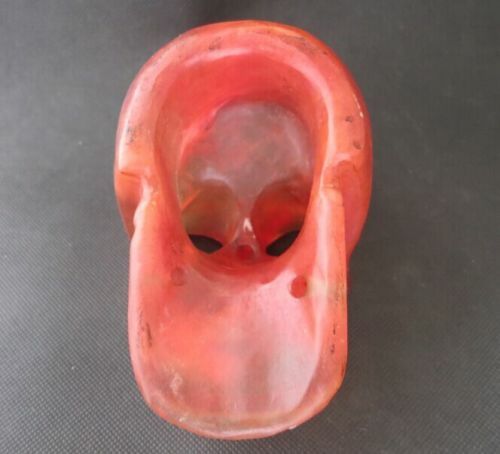 Another Tibetan resin skull advertised as “Egyptian” and “new”, neither of which are true as the Tibetan writing on the skull’s face will attest to. 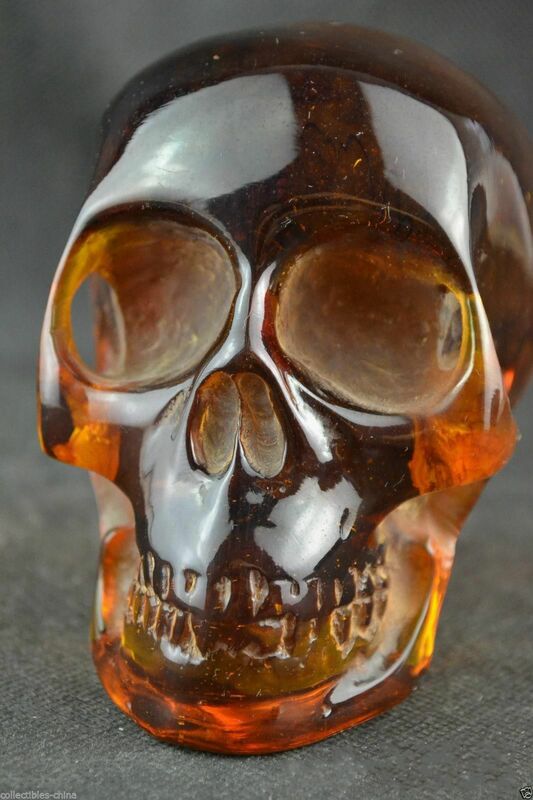 Collection of human skulls and grave robbing is closely watched by the Communist government since they came into power, so there are numerous resin models like these. That isn’t to say that they are at all new though as the Chinese sellers state, and weren’t sacred to someone. If you look closely at the underside of this skull, it looks very realistic, but the base of the skull where the spinal cord was attached is full of resin, meaning it is not a real skull. These were made with extreme care though using a real skull as the basis of the mold, and just because they are resin, that isn’t to say they weren’t considered sacred items and taken from someone against their will. The carved image is of Guanyin, the female patron saint of Tibetan and Chinese Buddhism. Often times I’ve said to myself, “But they are located in the US, or India, or Thailand, it can’t all be used stuff from China/Tibet!” But then the Chinese have a lot to cover up. Things that are distinctly Tibetan and many items made from animal parts (bone) have been moved in bulk to international dealers. And they have such a low overhead and a willingness to sell these items so cheaply, that no one else can compete with those prices, many international sellers must go somewhere else to sell their wares or go out of business. The ring above is being sold as brand new, though you can clearly see in the seller’s photograph it has quite a lot of dirt still on it. 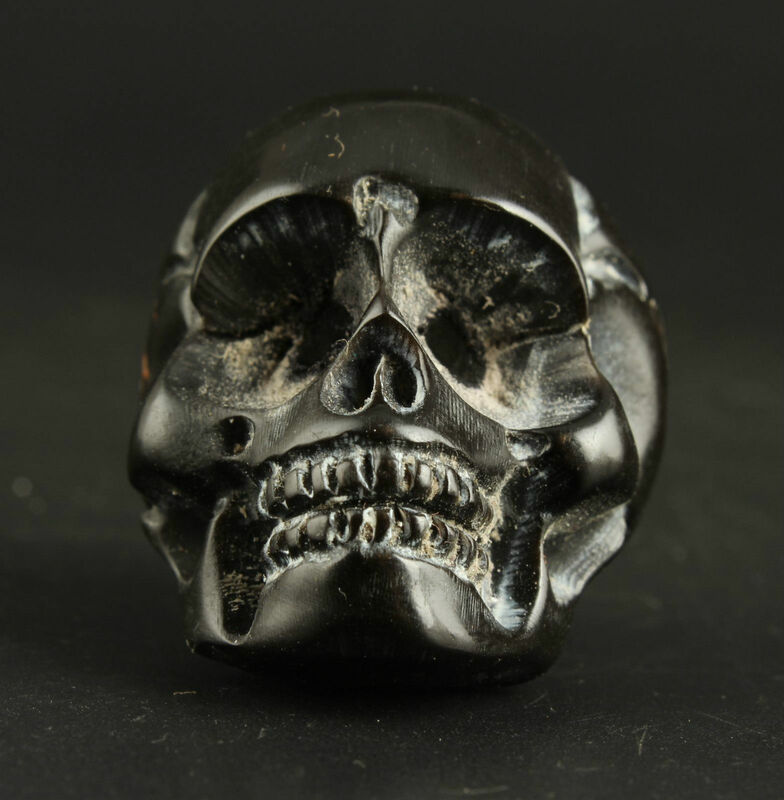 The seller is also selling it as sterling silver: “BONE SKULL FACE 925 STERLING SILVER RING 8.25” they say, however it is only silver plate. 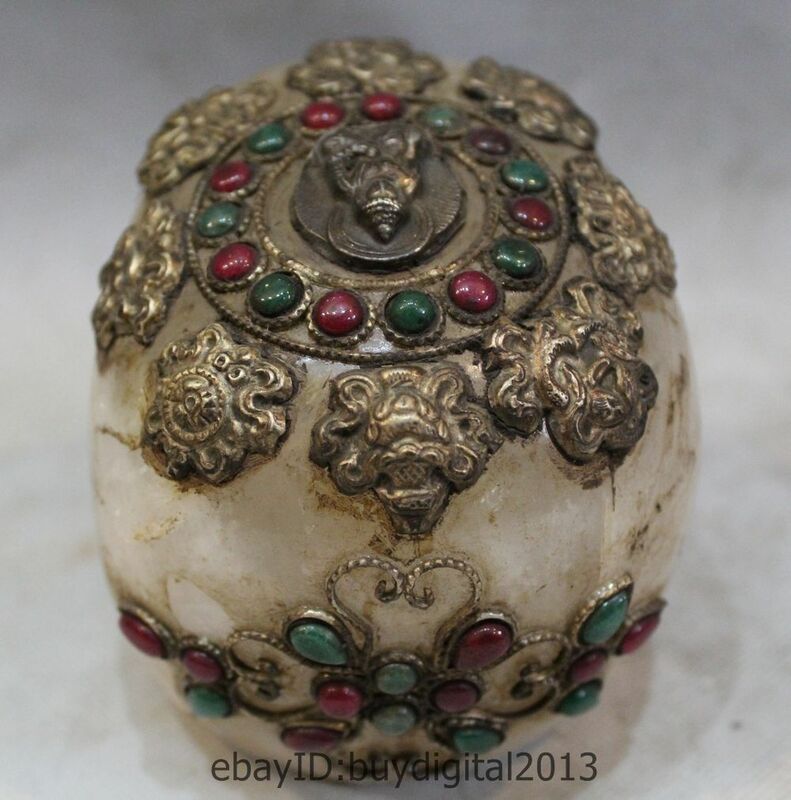 This seller is also located in India- a place where a lot of the Tibetan’s jewelry has gone to apparently, who would tell you they make it right there if asked along with the rest of their previously used stock. 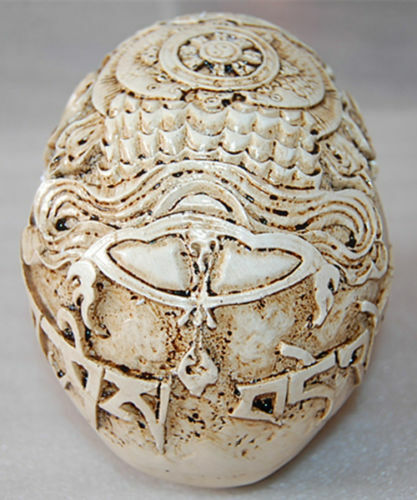 “Kapala” is Sanskrit for skull. 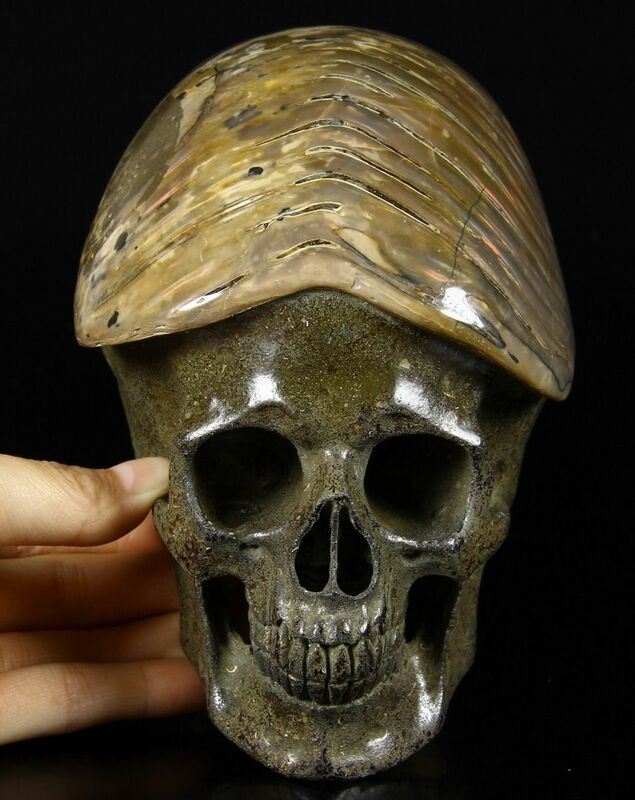 They are ritual cups used in Buddhist and Hindu Tantric ceremonies as a reminder of the temporary nature of life and the physical existence made out of whole skulls or just the top portion which is inverted and used as a cup. They are used during higher tantric meditation to achieve a transcendental state of thought and mind quicker because of the object’s power. 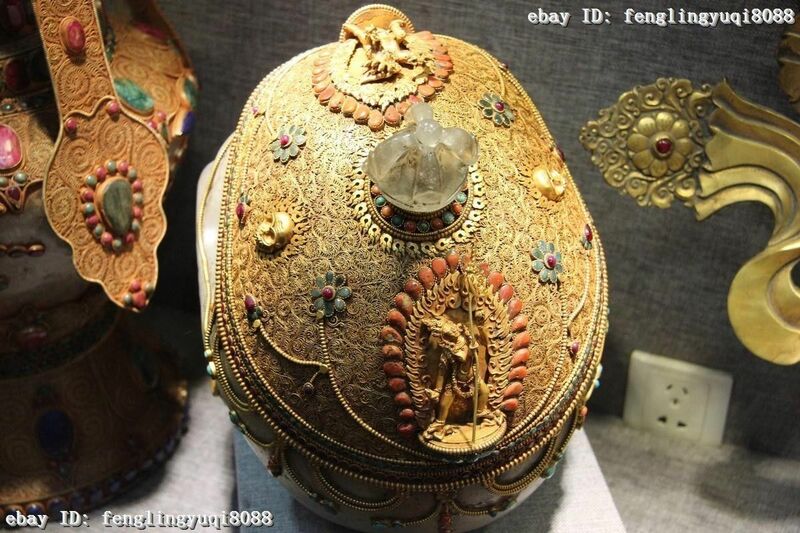 “In Tibetan monasteries, the kapala was used to hold dough cakes or wine, used symbolically as flesh and blood offerings to wrathful deities of Hindu India and Buddhist Tibet. When symbolising blood it is called Asrk Kapala, and when with flesh it is called Mamsa Kapala. The dough cakes were not just pieces of bread, but were shaped to resemble human eyes, ears and tongues. The skull cup, when used as libation to gods and deities to win their favour, is usually held in the left “wisdom” hand and held in front of a deity’s heart where it may be paired with such right hand ‘method’ implements such as the vajra or curved knife. Many wrathful deities hold a curved knife above a skull cup in front of their hearts symbolizing the union of their method and wisdom. The Hindu goddess Kali, for example, is often depicted holding or drinking from a blood-filled Kapala. The curved knife serves as the “method” weapon that severs the life and vital organs of demonic enemies and the skull cup is the “wisdom” vessel in which the blood and organs are collected as the deity’s life source. 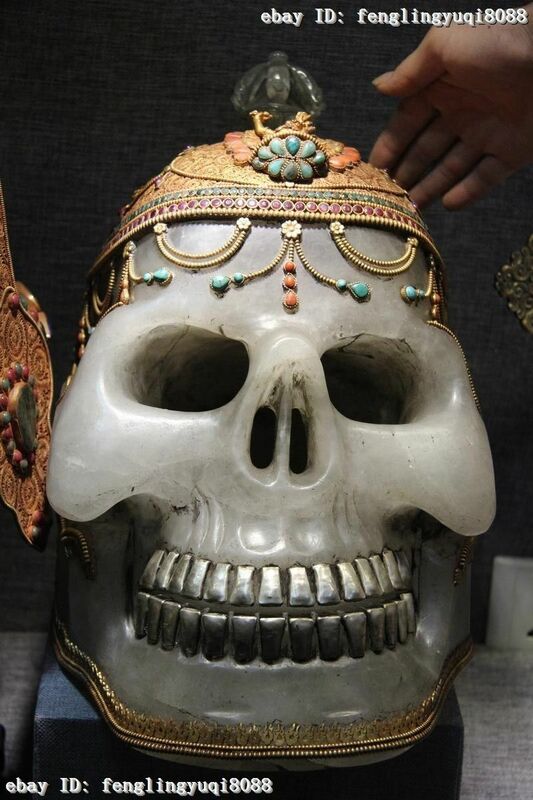 Made from the tops of human skulls, embellished with turquoise and coral, carved and handed down for generations, and should never be taken from Tibet for the fact they are made from human beings. Under even the best of circumstances of obtaining these skulls from people themselves and paying them, I believe that it would still be taking advantage of them and their currently impoverished state. All of these, unless in the hands of shamans and monks, should be a museum. They don’t make human skulls like this anymore, you know. 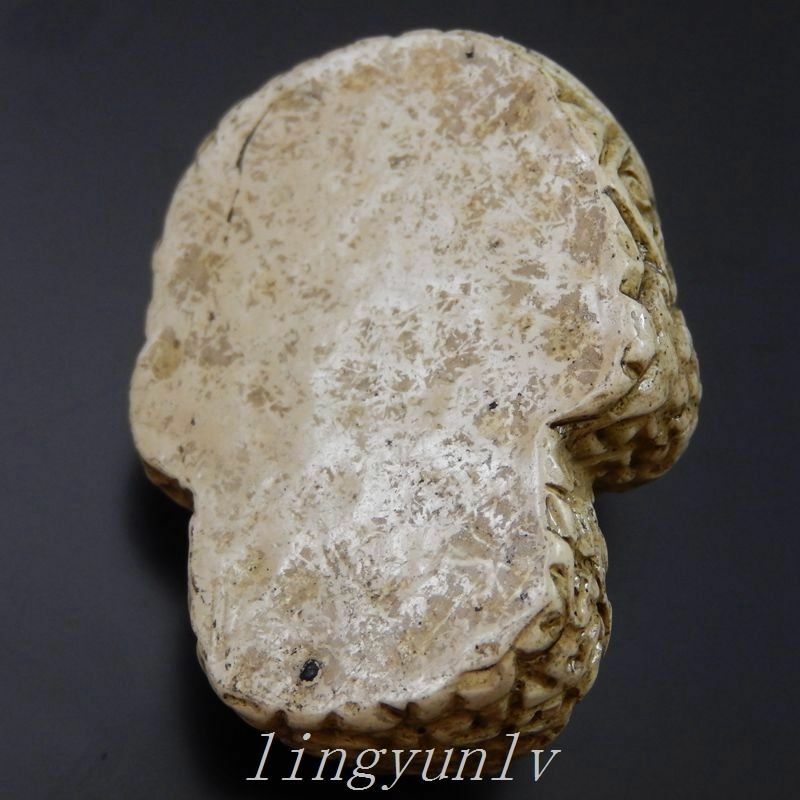 Though the skull above appears to be very realistic looking, when comparing with the other similar skulls for sale by different sellers it is apparent these may be a cast of the same skull over and over again. The cracks and break marks are in the same location on the skulls, though the skulls have different coloration which indicates these weren’t just pictures of the exact same item. Skulls from younger people who died suddenly and violently are supposedly more powerful than those from old people who died from natural causes, and the sutures on the (cast) skull above- are still very clear and haven’t closed up meaning it was a young person, and the numerous breaks on the skull indicate it was broken in a number of places. 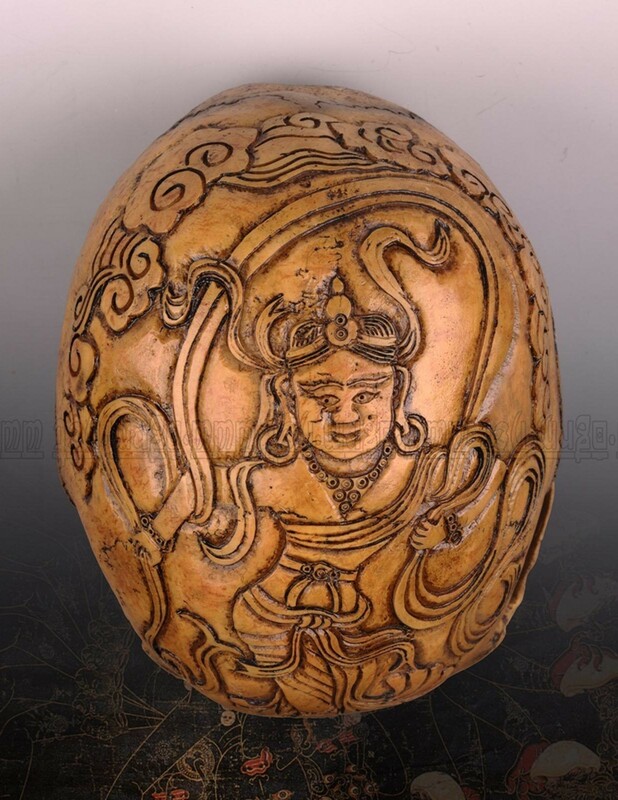 Because of newer laws preventing skull robbing and Chinese confiscations of religious items throughout time, it is thought that most shamans and monks probably have today resin kapala skulls, not real ones, but the model it is cast from is still thought to impart power to the object. 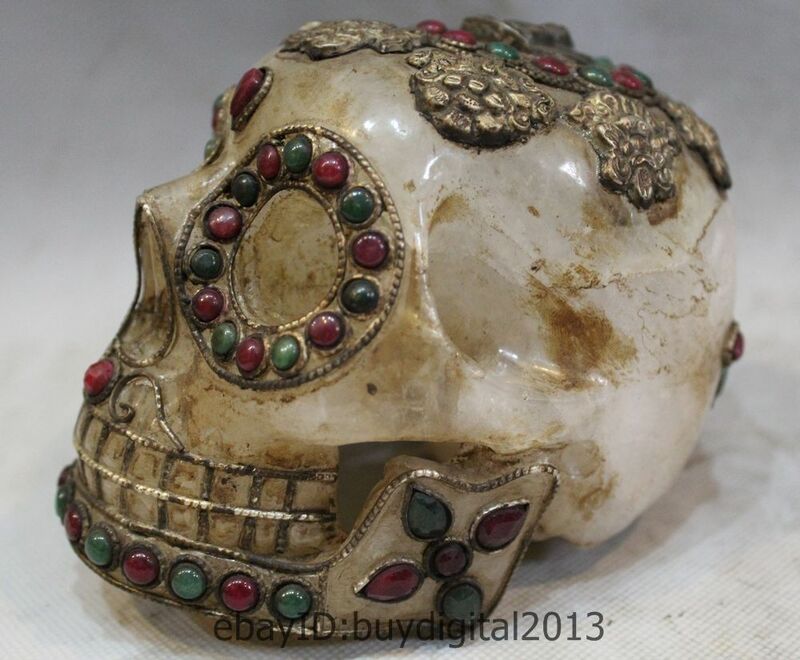 This skull may be real, but has been used as a model for newer cast resin kapalas like the one below. Wood and turquoise kapala above, with precious rubies and emeralds. Turquoise may be synthetic, a process of smelting rock ores invented by them more than 4,000 years ago, and made in a variety of colors- turquoise being their most favorite, but also blue and red colors. Below is a skull made from metal and inlayed using the same technique.